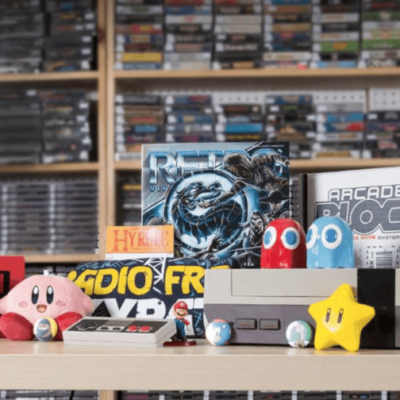 Gamer Block E (for Everyone) is a monthly subscription service that delivers collectibles and wearable items with the video gamer in mind. 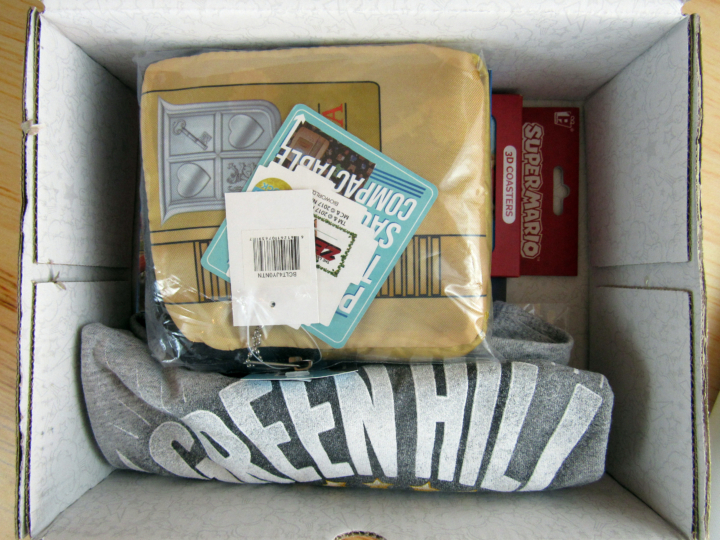 The contents in this box are rated E for Everyone. 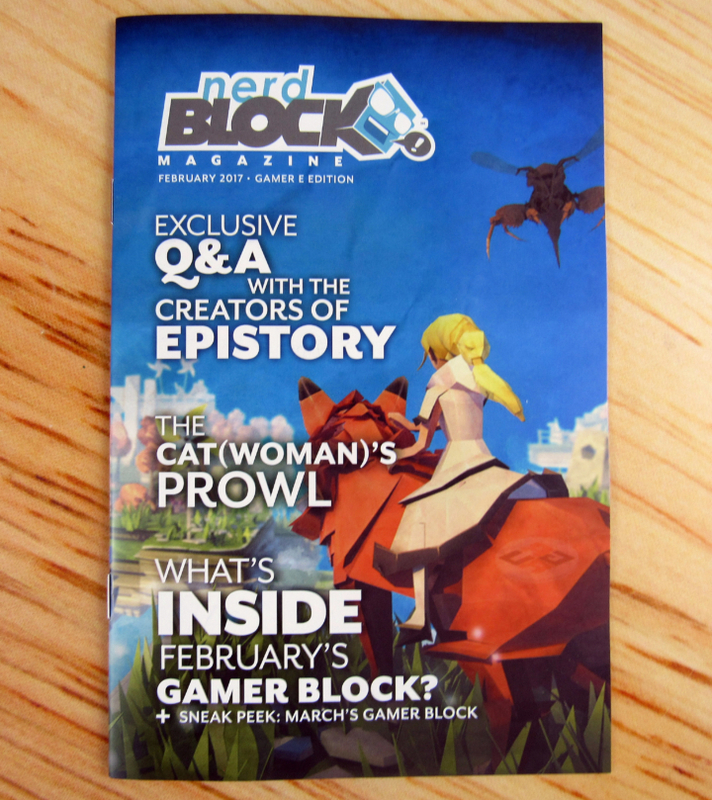 Here are the contents of Gamer Block: E for Everyone February. 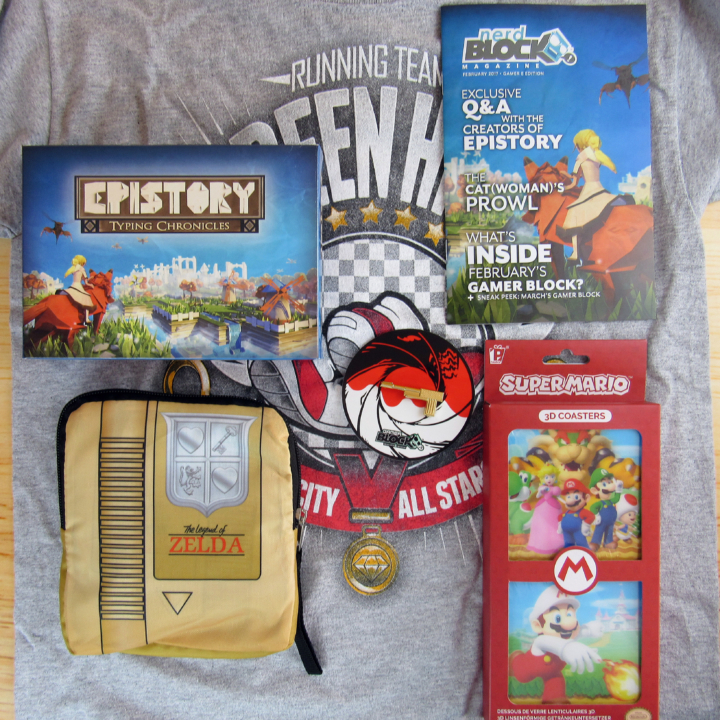 Each month includes a booklet that contains the item descriptions, prices, and exclusives. 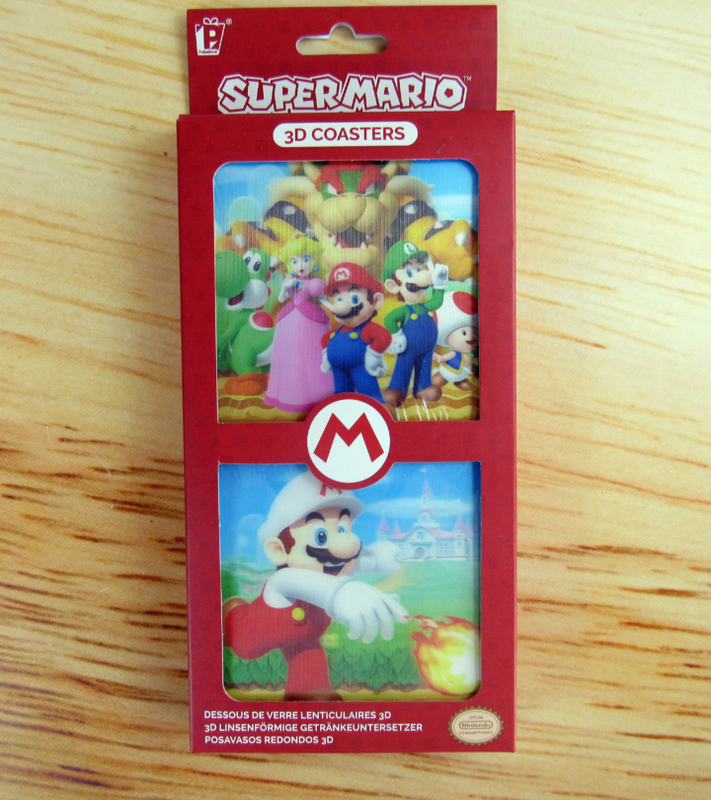 Super Mario 3D Coasters – A package of Super Mario 3D Coasters! There’s 8 of them in all. 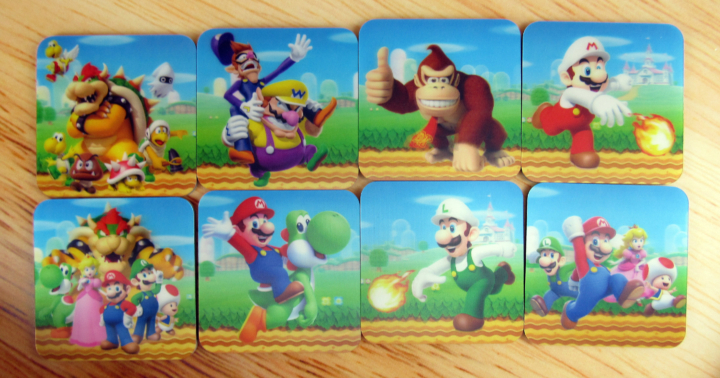 The coasters feature Mario and friends in their 3D forms. The coasters are also in 3D and have that scratchy 3D surface. Donkey Kong is my favorite! I can use these when I host my own Mario Party. 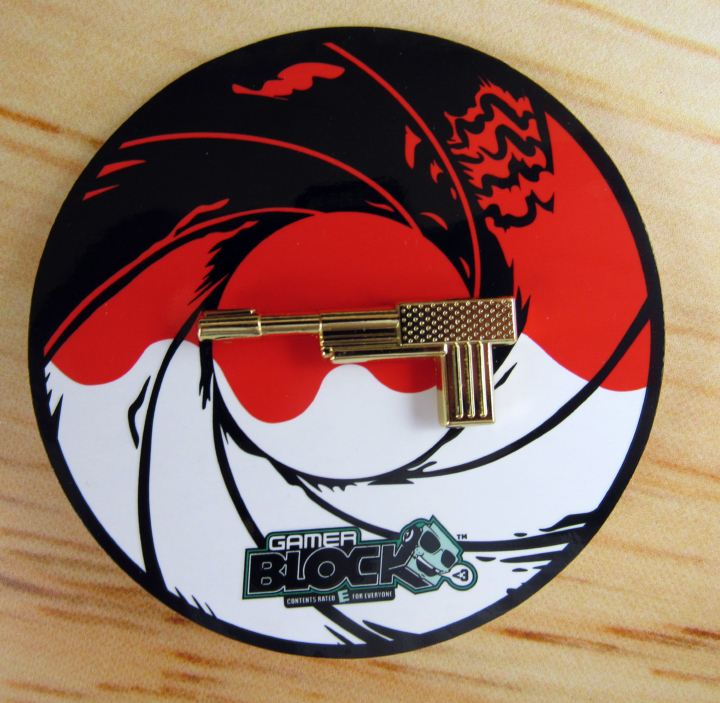 Goldeneye Pin – The pin this month is the Goldeneye gun! Goldeneye 007 was one of the most popular games of its time, and thanks to remakes, is still pretty popular now! 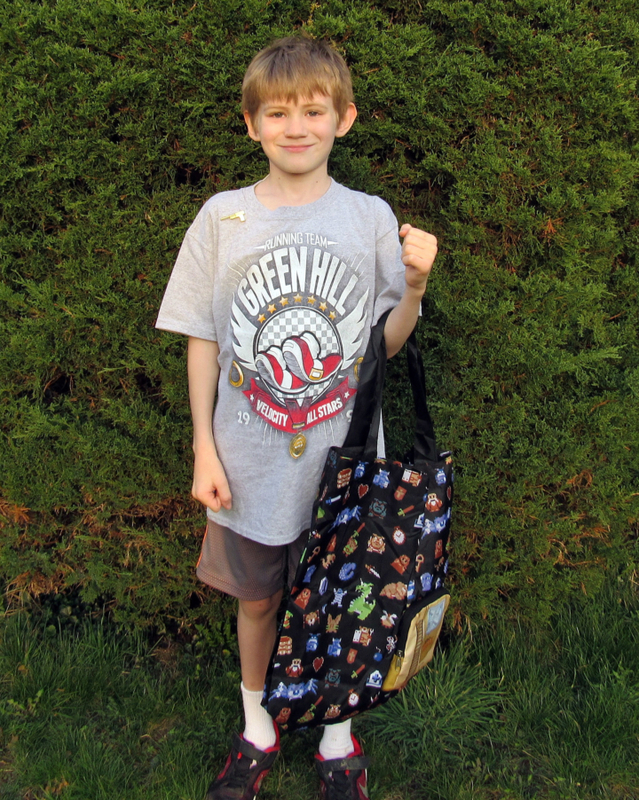 Green Hill Running Team Shirt – Each month includes a shirt. 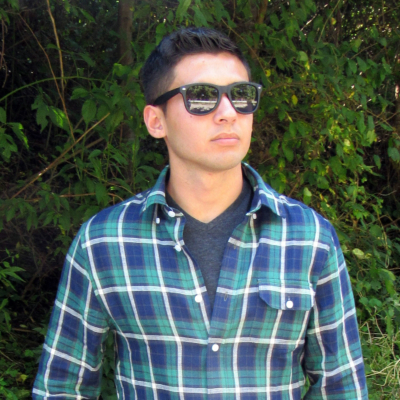 This month features a sonic shirt! 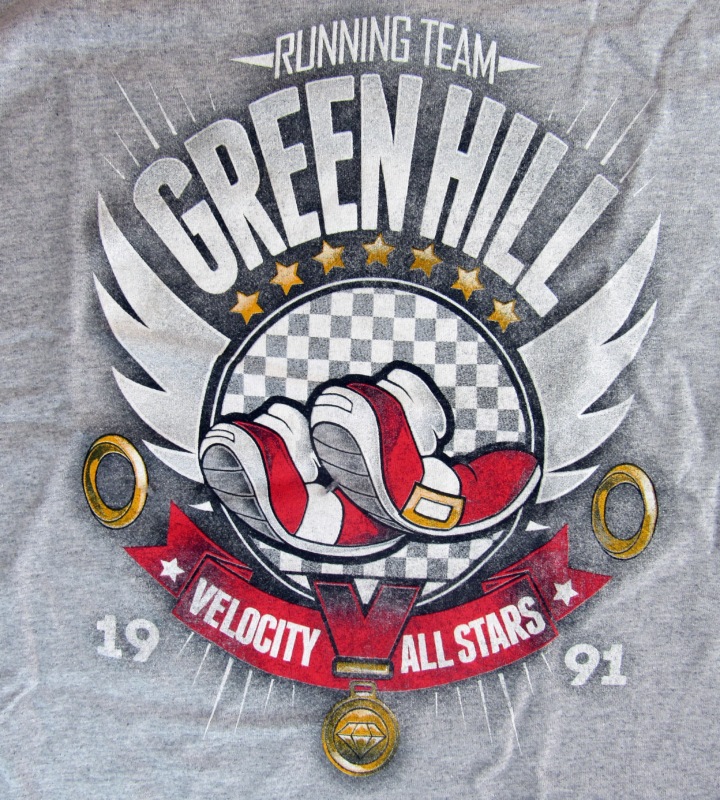 With his trademark shoes, rings, and the year the first Sonic game came out, there’s a lot to appreciate on this shirt! Notice the Chaos Emerald on the medal! 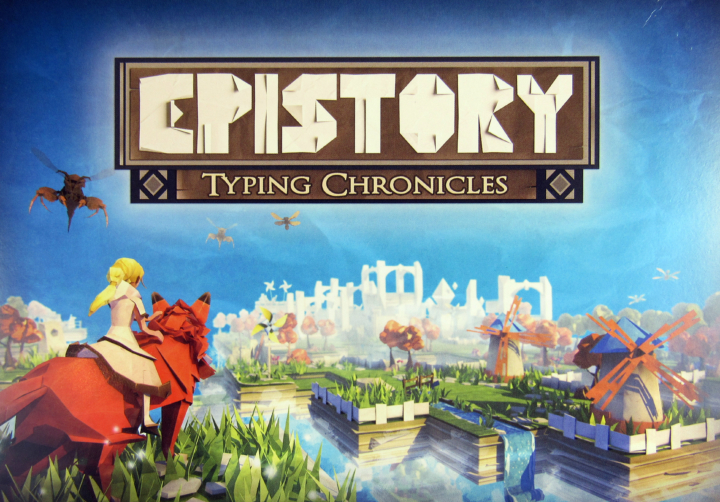 Epistory Steam Game – A Steam game is also included each month. 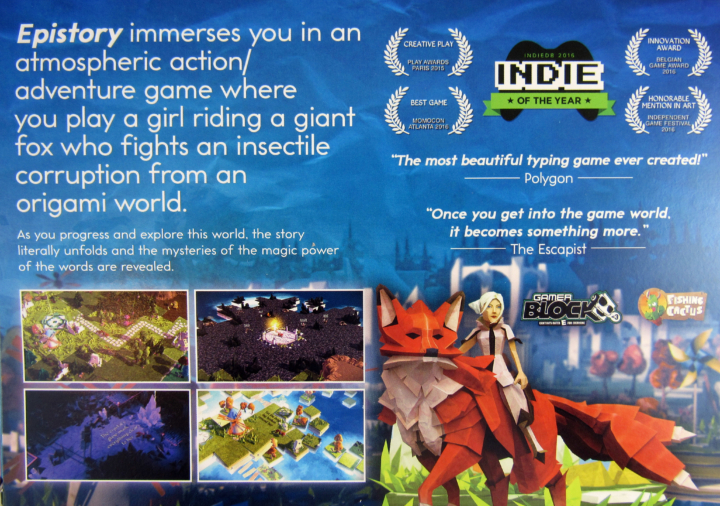 February’s game is Epistory! The backside sums the game up better than I ever could. I’m not into Steam anymore, but this is great if you’re a Steam fan! 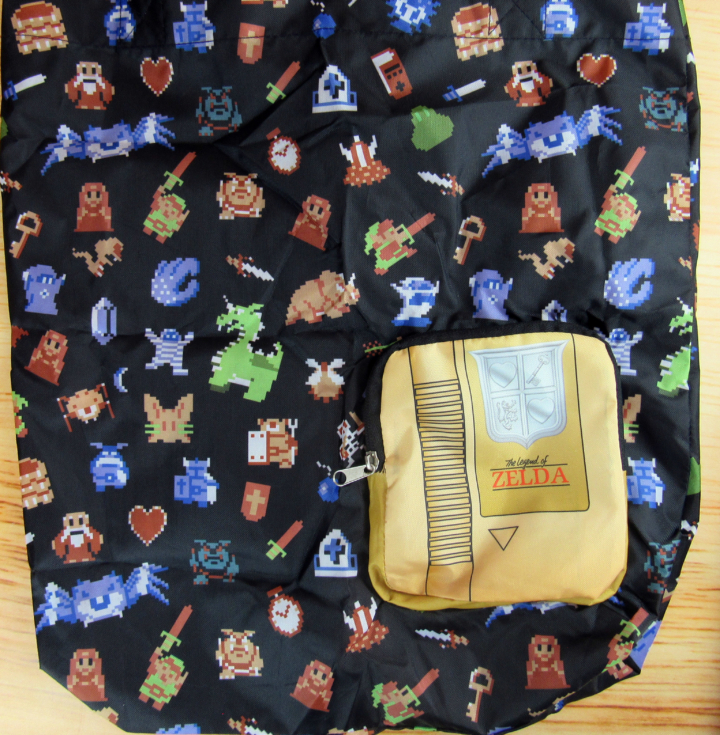 The Legend of Zelda Foldable Tote – ZELDA!!! I LOVE The Legend of Zelda! 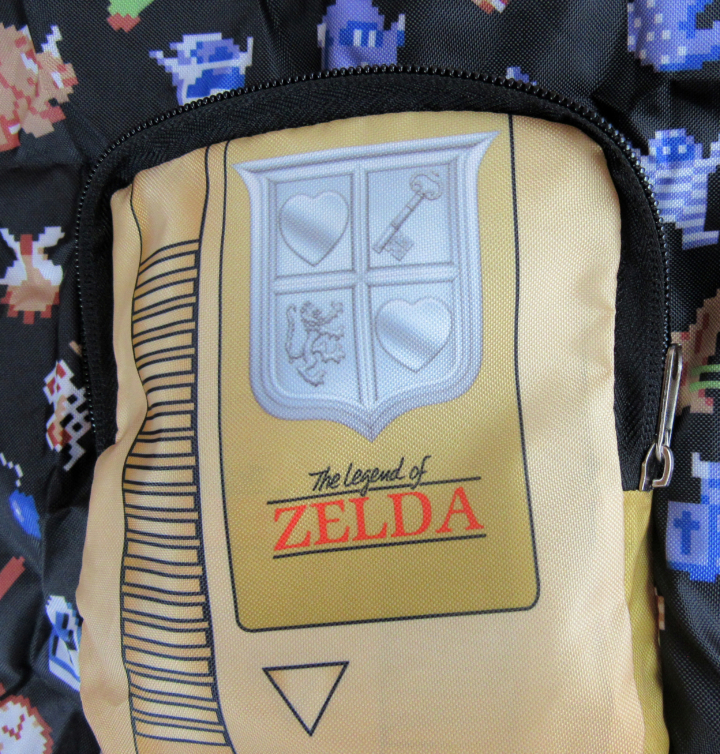 Any Zelda item is a good one, but this is a great one. 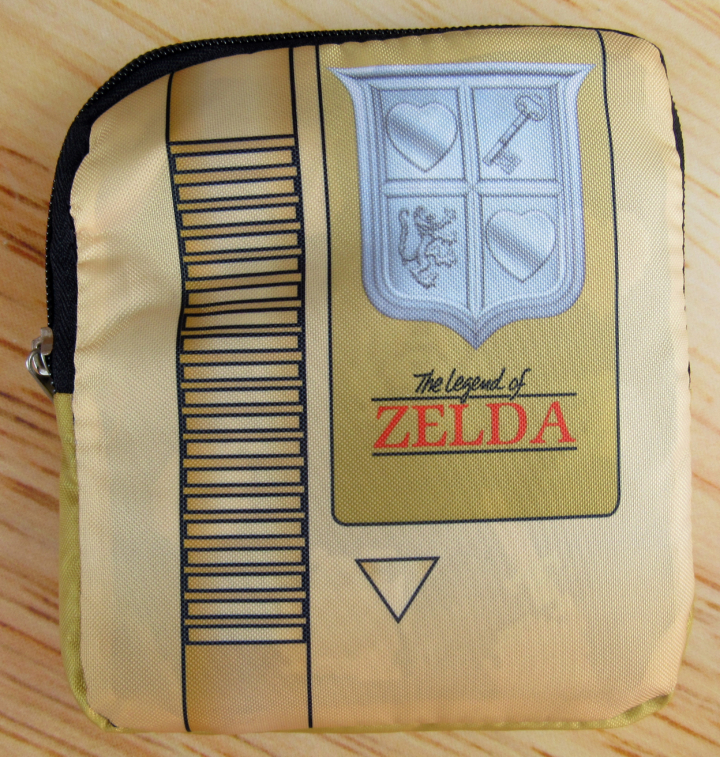 It’s a foldable tote, that fold into a Legend of Zelda cartridge from the NES! This is an exclusive item. 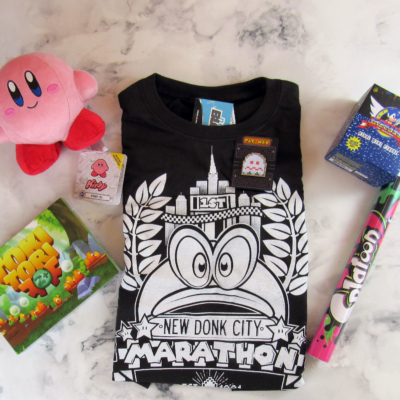 The cartridge stays on the outside of the bag, for all to admire. 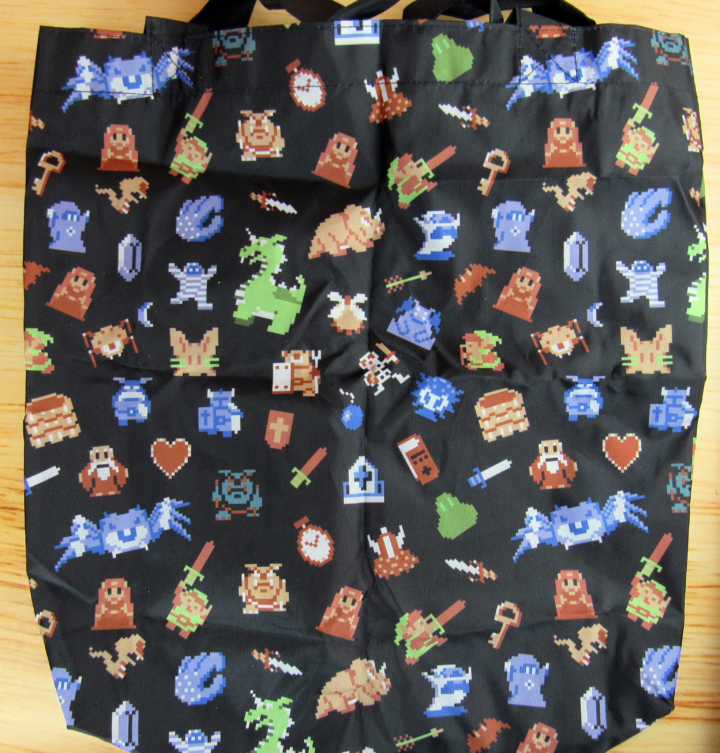 It features a lot of the characters from the first game, all over the bag. Even that old guy who gives you a sword in the beginning! I love this bag. J is modeling some of the contents of the box. 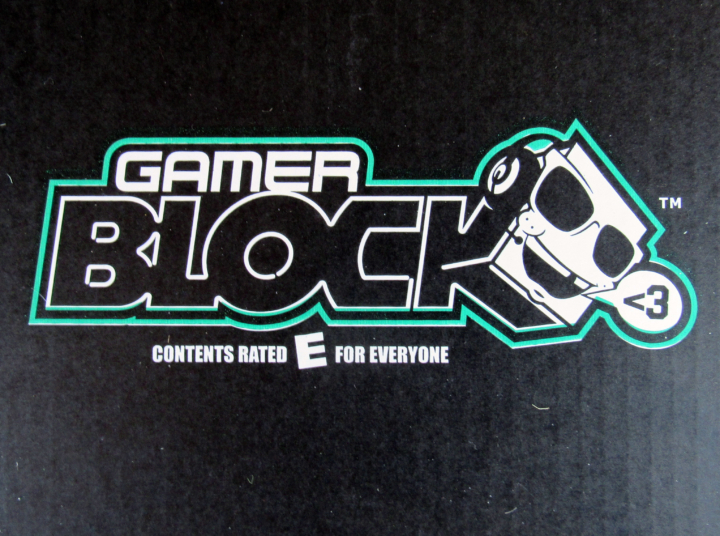 Gamer Block: E For Everyone February is a great box for families. 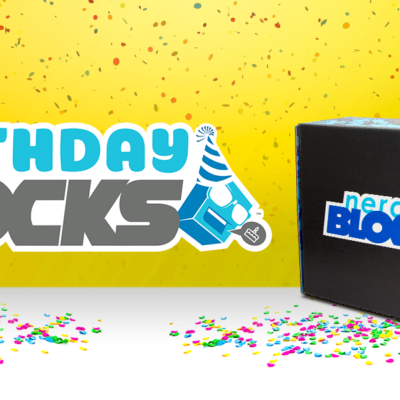 The items are from family friendly games, are usable and recognizable. There’s something for everyone! 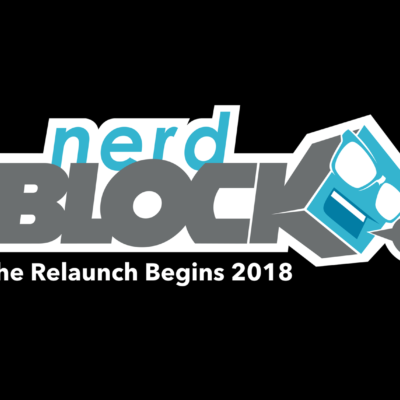 Visit Gamer Block E to subscribe or find out more!